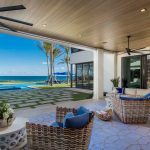 Welcome to Bala Machree located at 3545 North Ocean Boulevard; one of Gulf Stream’s finest oceanfront properties. 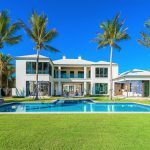 Situated on 1.96 acres with 230 feet of direct oceanfrontage, this expansive coastal compound is nearly double the average oceanfront lot size in the area. The regal residence captures the timeless elegance of a Palm Beach estate complete with stunning ocean views, marble and hardwood floors, custom moldings and woodwork, volume ceilings and sprawling grounds. 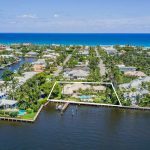 With a North Ocean Boulevard address, the property is conveniently located just north of Delray Beach’s Atlantic Avenue and a scenic drive along the iconic A1A to Worth Avenue in Palm Beach with three international airports easily accessible. 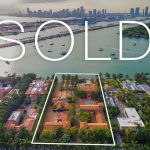 Located on almost two acres, this oceanfront property commands attention and promises the perfect setting for South Florida’s luxury lifestyle. The private gated entry provides access to the winding decorative driveway which leads to the front entrance with a separate and private drive leading to the three car garage and separate lot for service parking and entry. The front double door entry opens to the formal foyer providing a first glimpse of the grandeur that awaits. Beautiful hallways with marble floors lead to the formal living areas, guest suites and casual living areas including the kitchen. Filled with natural light, the formal living room offers breathtaking ocean views thanks to French doors that open to the seaside terrace. Other features include hardwood floors, volume ceilings, cove lighting, custom woodwork, fireplace, a large picture window that overlooks the putting green and French doors that lead to the covered poolside loggia. With hardwood floors and volume ceilings, the formal dining room overlooks the picturesque pool and terraces with French doors leading to the covered loggia. Perfectly framed by tranquil ocean views, the paneled study offers built-ins and French doors that open to the seaside terrace. The formal living areas have easy access to the powder room located just off the entry foyer. The kitchen and family room are housed in the west wing with white-washed Mexican tile floors throughout and lovely views of the pool and grounds. The expansive kitchen provides ample room for both cooking and gathering alike. Features include custom cabinetry, two islands, gas range with six burners and grill, two refrigerators, separate freezer, four wall ovens, two dishwashers, ice maker and ample seating with a breakfast area and snack bar seating. The family room is airy and bright with French doors that open to the patio and pool. There is a powder room conveniently located just off the kitchen and family room. The oceanside living quarters are divided into two separate levels. The ground level offers two separate en suite guest bedrooms and a large VIP suite with full bath and closet. The ground floor guest wing also offers a full kitchen, powder room and media room with fireplace and French doors that open to the seaside covered terrace. The second floor houses the master wing, an office and an additional en suite guest bedroom with balcony. The master wing features his-and-her baths, sitting area, hallway of additional closets and a spacious bedroom with oceanfront balcony. The second floor office has pecky cypress paneling, built-ins, fireplace and French doors that open to the expansive oceanfront balcony. The stately grounds are perfectly manicured to provide abundant green spaces and outdoor enjoyment. 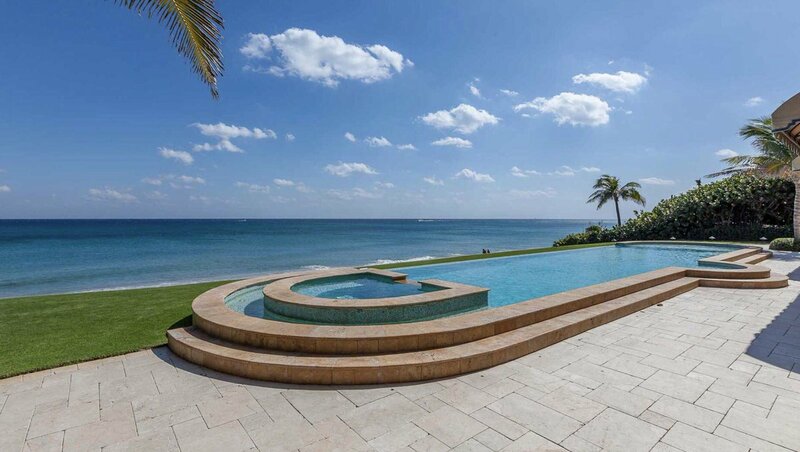 The oceanside terraces are beautiful framed by the rolling green grass, hedges and palm trees. The meticulous landscape provides the perfect balance of privacy and unobstructed water views with a private stairway to the dune and beach. The heated pool and spa are strategically located on the west side of the property to maximize the afternoon sun. The expansive and multi-level terrace provides ample space for poolside entertaining and relaxing. The loggia provides room for outdoor living and dining areas with easy access to the formal interior rooms. A covered breezeway connects the loggia to the cabana with his-and-her baths. Serious and casual golfers alike will enjoy the private putting green on the south side of the property. The laundry room and staff quarters are located just off the kitchen. The staff quarters feature a sitting room with kitchenette and private patio and full bedroom with bath. The ground level of the west wing houses the boiler room, numerous storage closets, a half bath, additional washer and dryer and access to the three-car garage. Lovingly known by each owner as Bala Machree (Irish for “home of my heart”), this amazing oceanfront property represents a rare opportunity to own almost two acres of prime real estate. Enjoy the luxury residence as it is, renovate to your specific liking, or build an opulent estate. With 230 feet of direct oceanfrontage, the possibilities are endless.